World Fridge Map - Global Mapping (ISBN: 9780755818518) | Map Stop | Top maps at a reasonable price in one place. 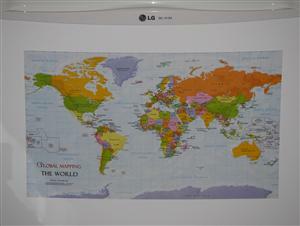 Map of the World for the fridge! Bright, colourful and informative, this quirky magnetic World map sticks easily to a fridge or filing cabinet offering an easy reference or educational location! One of a range of Global Mapping's World Maps.